Top 5 Underrated Michael Jackson Songs! Michael Jackson is the King of Pop, but not every song that he released has gotten as much appreciation as it deserved! This is a Cereal At Midnight Top 5 list of Underrated Michael Jackson songs that we think deserve a second listen...and then a third! Each of these tracks spans the period from "Off The Wall" (1979) to "Bad" (1987) and comes from his most prolific and iconic years. I hope you have as much fun watching this as I had making it! If you saw our thrift store video from LAST week (found here: https://youtu.be/irBZ7R9o5w4) then you're in for a treat because this video is A SEQUEL! Yes, that's right, there's continuity between the last thrift store shopping video and this one. The story continues! This past week brought some really interesting news about a new partnership between DC Comics (a subsidiary of Warner Brothers) and the retail GIANT (pun intended) Walmart. Fans of Batman, Superman, Justice League, Wonder Woman, and Teen Titans will soon have a reason to hit up their neighborhood Walmart for exclusive stories from Brian MIchael Bendis, Tom King, Andy Kubert, Amanda Conner, and Jimmy Palmiotti. Check out the video and weigh in with your thoughts in the comments! This is really interesting news for fans of comics and a bold retail move! It's Celebration Day inside the TARDIS, because CLASSIC Doctor Who has come to Blu-ray! It's something that many fans thought would never happen, but here we are, unboxing the complete first season of Tom Baker's legendary and unparalleled run as everyone's favorite Timelord, Doctor Who! Thrift Store Shopping For DVDs, Blu-rays, and CDs! In this video, we take the camera along with us to actually film IN THE THRIFT STORE for the very first time. Check out the video to see how THAT turns out, and stay tuned as we take it all back to the movie dungeon and show off what we found. Movie Reviews: Incredibles 2 And More! You requested more movie reviews, you got it! In this video, I give my thoughts on three movies: Pixar's Incredibles 2, Disney's Pirates of the Caribbean: Dead Men Tell No Tales, and Atomic Blonde! Cereal At Midnight is now the place where you can find "Laid Back Movie Reviews!" Did I ever tell you about the time in 1999 when I started collecting autographs through the mail? I didn't? Okay then! There's a method called TTM (through the mail) autograph collecting, and this video is all about how I did it and who responded. On top of everything, I read some embarrassing letters I wrote to movie stars almost 20 years ago! "Django, have you always be alone?" As a matter of fact, the answer is no! This is just one of dozens of movies featuring Italy's most successful western hero (anti-hero? ), coming over a year after the 1966 Spaghetti Western classic from director Sergio Corbucci and starring Franco Nero. 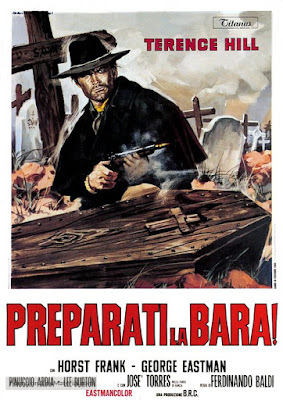 Lucky for us, Preparati la bara, which was directed by Ferdinando Baldi, feels like an important and worthy installment in a series of sequels that don't always connect to Corbucci's famous original film. With an alternate origin story, stylish cinematography, and one of my favorite scores in all of the genre, this movie is a Spaghetti Western gem! Big Lots Blu-ray and DVD Haul! Big Lots is a surplus and overstock store that can be an incredible resource for finding cheap Blu-rays and DVDs! Check out this haul of movies and see what kind of deals are out there! Ashley Eckstein, the voice of Ahsoka Tano on Star Wars: The Clone Wars and Star Wars: Rebels, and the founder of the global fashion brand Her Universe, has written a book designed to tell her own story and to empower others. With a voice deeply influenced by the films of Disney and Star Wars, "It's Your Universe" is a fantastic motivator to remind everyone, especially young girls, that they can accomplish anything they set their sights on.